Located in south San Antonio near Stinson Field Municipal Airport, this ground-level complex consists of two-bedroom apartments. 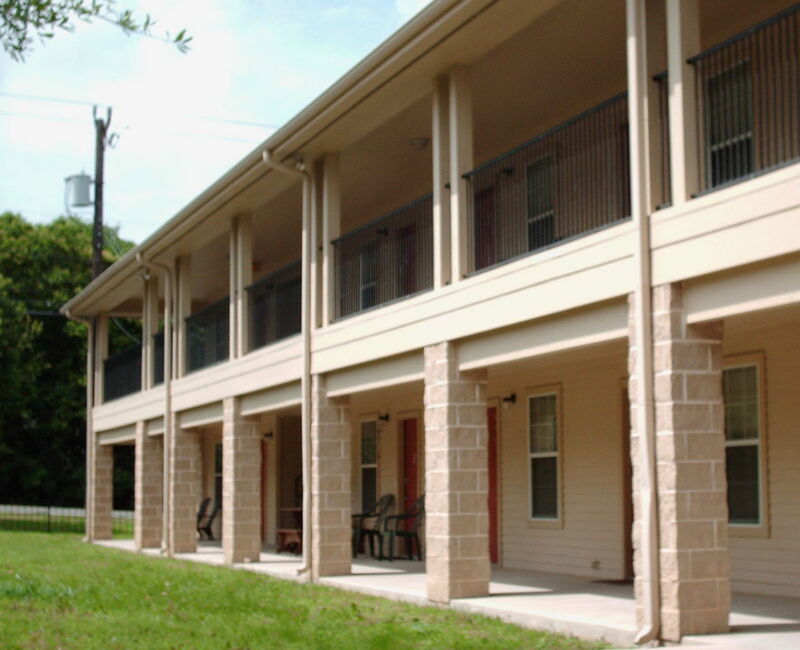 Located in north San Antonio near North Star Mall, this two-story complex consists of efficiency, one-bedroom, and two-bedroom apartments. Located in northeast San Antonio in the historic Alamo Heights area, this two-story complex consists of efficiency, one-bedroom and two-bedroom apartments. The program philosophy is designed on the premise that developmentally disabled persons should be given the opportunity to develop a level of independence appropriate to their skills and abilities in a supportive and affordable independent living arrangement. Further, each person should be an active participant in making choices regarding the quality of their lives and in determining the level of independence they might achieve. Sponsored by Mission Road Ministries and Mission Road Developmental Center, this HUD subsidized apartment program is designed exclusively for developmentally disabled persons who wish to live independently. This program includes supportive services to assist the resident in living independently. to develop sufficient judgment resources, and maturity in order to move to a totally independent environment if they choose. On-site manager and weekend relief staff. The Owners of Independence Square, Murray Manor, Meadow Brook and Suzanne Smith Management Company do not discriminate based on disability status in the admission or access to, or treatment or employment in, its federally assisted programs and activities.